I have so much love I need to cram into this post, so bear with me. 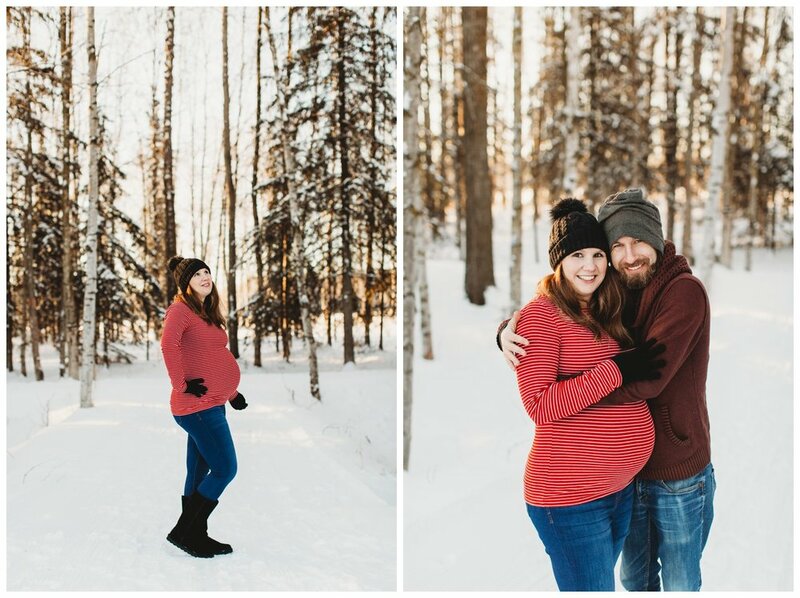 First of all, I was just named one of Expertise.com's "Best Maternity Photographers in Anchorage" for the second year in a row! That is such an honor! 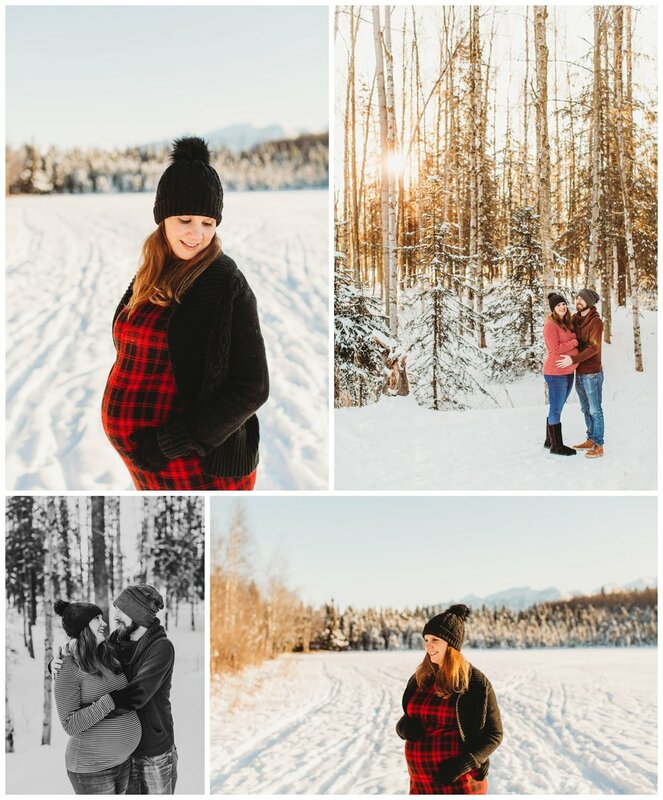 I love finding gorgeous locations for these sessions and capturing the emotions and this amazing time in a woman's life! Second, I just want to give a huge shout-out to Sarah and Chris for being such troopers during this session. It was SO COLD. I mean, it was the kind of cold that cracks the skin around your fingernails if you aren't wearing mittens (which, of course, I wasn't). At one point, Sarah opted for an outfit change, and rather than heading back to the car- she changed behind a blanket Chris held up for her. The shock of cold was felt even by her little baby, because they started moving around, which is just so cool. Sometimes during sessions I ask clients to tell stories about their life together, and some of them are hilarious. Sarah told me about a time that Chris peed in her shoes, and I about lost it. I couldn't even keep my camera steady. These are the kind of moments I really adore during sessions with my clients. It's such an honor to capture these important moments. Thank you for trusting me with your memories.